It’s been almost a year since eighteen-year-old Ella Rodriguez was in a car accident that left her crippled, scarred, and without a mother. After a very difficult recovery, she’s been uprooted across the country and forced into the custody of a father that abandoned her when she was a young child. If Ella wants to escape her father’s home and her awful new stepfamily, she must convince her doctors that she’s capable, both physically and emotionally, of living on her own. The problem is, she’s not ready yet. The only way she can think of to start healing is by reconnecting with the one person left in the world who’s ever meant anything to her-her anonymous Internet best friend, Cinder. … Hollywood sensation Brian Oliver has a reputation for being trouble. There’s major buzz around his performance in his upcoming film The Druid Prince, but his management team says he won’t make the transition from teen heartthrob to serious A-list actor unless he can prove he’s left his wild days behind and become a mature adult. In order to douse the flames on Brian’s bad-boy reputation, his management stages a fake engagement for him to his co-star Kaylee. Brian isn’t thrilled with the arrangement-or his fake fiancée-but decides he’ll suffer through it if it means he’ll get an Oscar nomination. Then a surprise email from an old Internet friend changes everything. There is absolutely too much to say about this novel. I’m sure I’ll forget something, because there is SO MUCH that makes this novel amazing. Firstly, I’ll start off with the fairy tale aspect: the elements of Cinderella are all there, but with an amazing fresh twist. Ella has a lot to worry about, and while she does try to be polite and nice to people, she still has flaws. 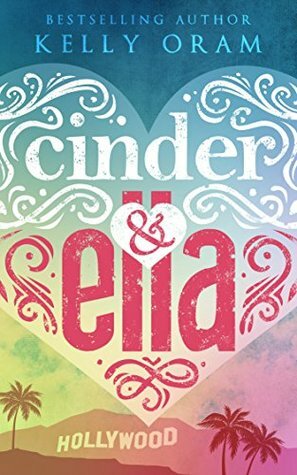 Ella is stuck with her family, and in this retelling, she simply can’t leave like many likely believe the original Cinderella should have. Brian is every bit a prince with the power to completely change Ella’s life, but things don’t magically fall into place where he sweeps her off her feet– that’s not how the real world works. 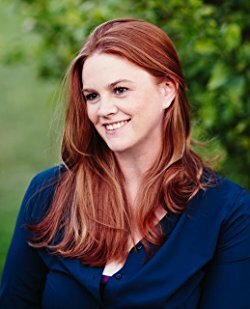 This novel does a great job of showcasing how attached two people can become without ever having physically met, how you can come to rely on your friends, no matter how new or old. I absolutely love that this novel shows that meeting people with like interests and not just because you’re in the same general social sphere can give you a much deeper connection. Written from the perfect perspective, instantly you feel for the protagonists and want them to succeed in life. It’s a book that’s very hard to put down, and I found myself getting quite angry when real life got in the way of my reading. The story within a story aspect was absolutely thrilling. It’s a great step to acknowledge that nowadays most people form connections with others with similar interests, and loving one particular book series or movie could be the one thing that draws you to someone, forming an irrevocable bond. Knowing that you should be yourself and do what’s best for you, even if it’s scary, is an amazing lesson I think everyone can learn from.